Developmental dental anomalies are deviations from the normal presentation of teeth. These anomalies not only affect the aesthetic appearance of teeth but also pose difficulties during dental treatments and sometimes are the cause of other dental problems. They can be anomalies of size, number, morphology, structure, and position. The developmental anomalies in the number of teeth include hypodontia, anodontia, and hyperdontia. Hyperdontia (supernumerary teeth) is a developmental anomaly in which teeth additional to the normal series can be found unilaterally or bilaterally in almost any region of the dental arch. Supernumerary teeth are more frequently reported in the permanent dentition than in the primary dentition with more frequency in the maxilla than in the mandible. With methodological issues as well as population differences, figures vary but their prevalence varies between 0.05% and 2.8%. Most supernumerary teeth are idiopathic. Patients are frequently affected by a single supernumerary (76%–86%), less by double supernumeraries (12%–23%), and rarely by multiple supernumeraries (<1%)., In cases of hyperdontia with one to four supernumerary teeth, the supernumerary teeth are usually localized in the upper anterior and molar region, whereas in cases of multiple supernumerary teeth (i.e., five or more), they are seen in the lower jaw and generally in the premolar region. Most cases of multiple supernumerary teeth are found in association with syndromes such as cleidocranial dysplasia, familial adenomatous polyposis, trichorhinophalangeal syndrome type I, Rubinstein–Taybi syndrome, Nance–Horan syndrome, Opitz BBB/G syndrome, oculofaciocardiodental syndrome, and autosomal-dominant Robinow syndrome. The etiology of supernumerary teeth is unclear. Several theories have been postulated to explain their occurrence; these include the atavism theory, dichotomy theory, and dental lamina hyperactivity theory., However, a combination of environmental and genetic factors has been also proposed. Supernumerary teeth can be asymptomatic for years or may cause complications such as impaction, delayed eruption of neighboring teeth, crowding, midline diastema, cystic formation, and root resorption of adjacent teeth. Hence, early diagnosis, evaluation, and appropriate treatment of supernumerary teeth are essential to avoid unnecessary complications. 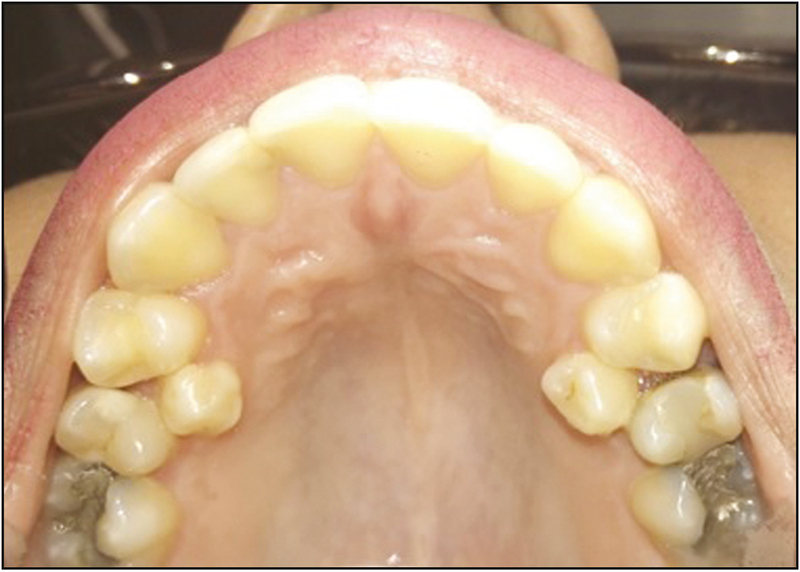 The aim of this article was to present a review on supernumerary premolars and to report two different cases and their possible treatment options. A 35-year-old man reported to the department of conservative dentistry and prosthodontics with the chief complaint of pain and food lodgment in the lower posterior region on the right side for few months. The patient did not present any significant medical, familial, or dental history. Extraoral examination did not show any abnormalities. Intraoral examination showed fair oral hygiene with decayed right lower second premolar and a fractured first molar on the same side. It also revealed one supernumerary premolar on the left side of the mandibular arch [Figure 1]. The parapremolar was present palatal to the permanent first and second premolar and was identical in morphology, hence was considered as supplemental supernumerary tooth. A panoramic X-ray was advised to evaluate the complete dentition. The X-ray did not reveal any other impacted or supernumerary teeth [Figure 2]. The patient was informed about the presence of additional tooth and was educated about the difficulties associated in maintaining the oral hygiene and was advised for the extraction of the tooth. Unfortunately, he refused to extract the supernumerary tooth. However, he was cautioned about the consequences and advised to report if symptomatic, and oral hygiene measures were instituted. A 24-year-old woman attended the department of conservative dentistry and prosthodontics with a complaint of pain in the right side of the upper arch on drinking cold water. The patient’s medical, dental, and familial history was noncontributory and there was no sign of any systemic diseases or syndromes. An intraoral examination revealed occlusal caries on the upper right third molar. The intraoral examination revealed the presence of an extra tooth located bilaterally on the palatal side between the maxillary left and right first and second premolars [Figure 3]. A panoramic X-ray was also advised to evaluate the complete dentition. The X-ray did not reveal any other impacted or supernumerary teeth [Figure 4]. The patient was informed of the existing condition and extraction of the supernumerary teeth was advised as maintenance of oral hygiene in this area was difficult. She was referred to the oral surgery clinics for extraction of her parapremolars. Supernumerary teeth have been classified mainly according to their morphology and location in the dental arch. On the basis of their location, they may be categorized into four types: mesiodens, paramolar, distomolar, and parapremolars. According to their morphology, there are two types: rudimentary and supplemental. Supernumerary premolars are “extra” teeth morphologically belonging to the premolar group. These supernumerary teeth are usually detected in patients older than 12 years of age and cases of late-developing supernumerary premolars have also been reported in the literature. Supernumerary premolars can be unilateral, bilateral, single, or multiple. Supernumeraries in the premolar region are usually of the supplemental type.,, However, Küchler et al. reported that 80% of all supernumerary premolars detected in their study were tuberculated in shape. The prevalence of supernumerary premolars varies between 0.09% and 0.76%,,, and they are reported to be more common in males than in females. The literature reports that parapremolars account for 2.27%–37% of all supernumerary teeth detected in different populations [Table 1]. Supernumerary premolars occur more frequently in the mandible than in the maxilla. Studies show that 57%–90% of all detected supernumerary premolars from various studies were mandibular [Table 1].,,,,,,, Moreover, they are the most common supernumerary teeth in the mandible.,, Yet, the prevalence of supernumerary teeth occurring in the mandibular premolar region is quite low. The orientation of a supernumerary premolar might be vertical, mesio-inclined, disto-inclined, and inverted. Arikan et al. reported that of the 16 supernumerary premolars detected in their study population (n = 7551), 10 (62.5%) were vertically oriented. Bilateral cases are more common than unilateral ones., Mandibular bilateral cases are more common than maxillary cases., Kaya et al. reported that 75% (n = 20) of the unilateral cases of supernumerary premolars were on the right side. In studies investigating supernumerary teeth, premolars were the second most common supernumerary teeth after mesiodens. Celikoglu et al. showed that the most commonly found supernumerary teeth were mesiodens, followed by premolars, lateral incisors, and distomolars. The mesiodens were the most frequent type of supernumerary teeth followed by supernumerary premolars, then by distomolars. Harris and Clark reported premolars as the second most common supernumerary teeth after distomolars. Pérez et al. and Rajab and Hamdan reported that premolars were the second most frequent type of supernumerary teeth after those located in the anterior premaxilla. Nevertheless, other studies reported that premolars ranked third in the order of frequency. Esenlik et al. found that mesiodentes were the most frequently seen supernumerary teeth followed by maxillary lateral incisor, mandibular premolar, maxillary canine, and maxillary premolars. Mahabob reported premolars as the third most occurring supernumerary premolars after mesiodens and distomolars. Ethnic background is an important factor in these varying findings., Generalities in the literature founded on well-studied ethnic groups should not be extrapolated on other ethnic groups without evidence. Supernumerary premolars usually remain unerupted and asymptomatic.,, Thus, they are usually discovered during routine radiographic exam. Many operators consider panoramic X-rays to be an important tool for identifying supernumerary teeth. Several investigators have used panoramic radiographs for identifying supernumerary teeth in both surveys and epidemiological studies from which they report their prevalence.,, However, in the two cases reported in this study, the panoramic X-rays failed to identify the presence of supernumerary premolars though they were clinically present. Panoramic radiographs alone have been reported unreliable for identifying supernumerary teeth and that approximately 50% of the supernumerary teeth could go unnoticed on panoramic radiographs. Clinical examination plus some types of radiograph(s) are essential if the practitioner identifies or just suspects the presence of a supernumerary tooth. Additional radiographs (occlusal and/or periapical radiographs and computed tomography scan) are useful when an attempt is made to further investigate the presence of supernumerary teeth and thus confirm the diagnosis. Supernumerary premolars can be either erupted or unerupted. Erupted supernumerary premolars should be extracted except in cases where the supernumeraries need to be retained. Unerupted supernumerary premolars can be categorized as those associated with complications and those not associated with complications. Those not associated with complications should be kept under periodic observation. If the unerupted supernumerary premolar is associated with complications or when it hinders the eruption of or gives rise to malpositioning of permanent teeth, then it should be surgically removed as soon as possible.,, The timing of surgical removal of supernumerary premolar is as much debated among clinicians as are treatment methods. Surgical removal can be delayed in cases where the supernumerary tooth is close to the apices of the developing permanent teeth or where the formation of the supernumerary teeth is in the initial stages resulting in chances of recurrence.,, Supernumerary premolars must be preferentially removed at certain stages—namely, fully developed crown with root under formation and fully developed crown—as at these stages, surgery will be easier. In general, the early diagnosis of supernumerary premolars allows optimal patient management and treatment planning and can reduce complications and complexities of the planned treatment. Amarlal D, Muthu MS. Supernumerary teeth: Review of literature and decision support system. Indian J Dent Res 2013;24: 117-22. Garvey MT, Barry HJ, Blake M. Supernumerary teeth—An overview of classification, diagnosis and management. J Can Dent Assoc 1999;65:612-6. Anthonappa RP, King NM, Rabie AB. Diagnostic tools used to predict the prevalence of supernumerary teeth: A meta-analysis. Dentomaxillofac Radiol 2012;41:444-9. Açikgöz A, Açikgöz G, Tunga U, Otan F. Characteristics and prevalence of non-syndrome multiple supernumerary teeth: A retrospective study. Dentomaxillofac Radiol 2006;35: 185-90. Lubinsky M, Kantaputra PN. Syndromes with supernumerary teeth. Am J Med Genet A 2016;170:2611-6. Ata-Ali F, Ata-Ali J, Peñarrocha-Oltra D, Peñarrocha-Diago M. Prevalence, etiology, diagnosis, treatment and complications of supernumerary teeth. J Clin Exp Dent 2014;6:e414-8. Mallineni SK, Kumar S. Supernumerary teeth: Review of the literature with recent updates. Conf Pap Sci 2014;2014:1-6. Brook AH. A unifying aetiological explanation for anomalies of human tooth number and size. Arch Oral Biol 1984;29:373-8. Hattab FN, Yassin OM, Rawashdeh MA. 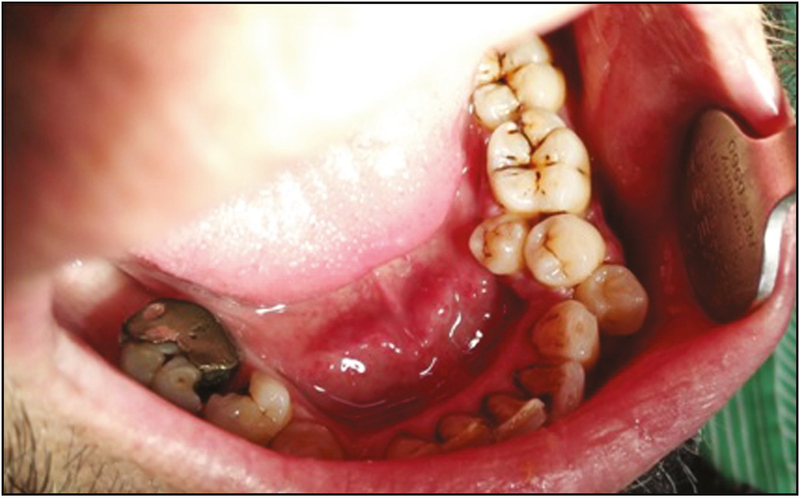 Supernumerary teeth: Report of three cases and review of the literature. ASDC J Dent Child 1994;61:382-93. Valmaseda-Castellón E, Berini-Aytés L, Gay-Escoda C. Supernumerary premolars. Report of 10 cases. Bull Group Int Rech Sci Stomatol Odontol 2001;43:19-25. Fernández Montenegro P, Valmaseda Castellón E, Berini Aytés L, Gay Escoda C. Retrospective study of 145 supernumerary teeth. Med Oral Patol Oral Cir Bucal 2006;11:E339-44. Paduano S, Rongo R, Lucchese A, Aiello D, Michelotti A, Grippaudo C. Late-developing supernumerary premolars: Analysis of different therapeutic approaches. Case Rep Dent 2016;2016:2020489. Chou ST, Chang HP, Yang YH, Lung CY, Tseng YC, Pan CY, et al. Characteristics of supernumerary teeth among nonsyndromic dental patients. J Dent Sci 2015;10:133-8. Arikan V, Ozgul BM, Firdevs TO. Prevalence and characteristics of supernumerary teeth in a child population from Central Anatolıa–Turkey. Oral Health Dent Manag 2013;12:269-72. Küchler EC, Costa AG, Costa Mde C, Vieira AR, Granjeiro JM. Supernumerary teeth vary depending on gender. Braz Oral Res 2011;25:76-9. Kaya GŞ, Yapıcı G, Ömezli MM, Dayı E. Non-syndromic supernumerary premolars. Med Oral Patol Oral Cir Bucal 2011;16:e522-5. Harris EF, Clark LL. An epidemiological study of hyperdontia in American blacks and whites. Angle Orthod 2008;78:460-5. Solares R, Romero MI. Supernumerary premolars: A literature review. Pediatr Dent 2004;26:450-8. Mahabob MN, Anbuselvan GJ, Kumar BS, Raja S, Kothari S. Prevalence rate of supernumerary teeth among non-syndromic South Indian population: An analysis. J Pharm Bioallied Sci 2012;4:S373-5. Esenlik E, Sayin MO, Atilla AO, Ozen T, Altun C, Başak F. Supernumerary teeth in a Turkish population. Am J Orthod Dentofacial Orthop 2009;136:848-52. De Oliveira Gomes C, Drummond SN, Jham BC, Abdo EN, Mesquita RA. A survey of 460 supernumerary teeth in Brazilian children and adolescents. Int J Paediatr Dent 2008;18:98-106. Demiriz L, Durmuşlar MC, Mısır AF. Prevalence and characteristics of supernumerary teeth: A survey on 7348 people. J Int Soc Prev Community Dent 2015;5(Suppl 1):S39-43. Leco Berrocal MI, Martín Morales JF, Martínez González JM. An observational study of the frequency of supernumerary teeth in a population of 2000 patients. Med Oral Patol Oral Cir Bucal 2007;12:134-8. O’Dowling I. Supernumerary pre-molar teeth in the mandible. J Ir Dent Assoc 2009;55:293-5. 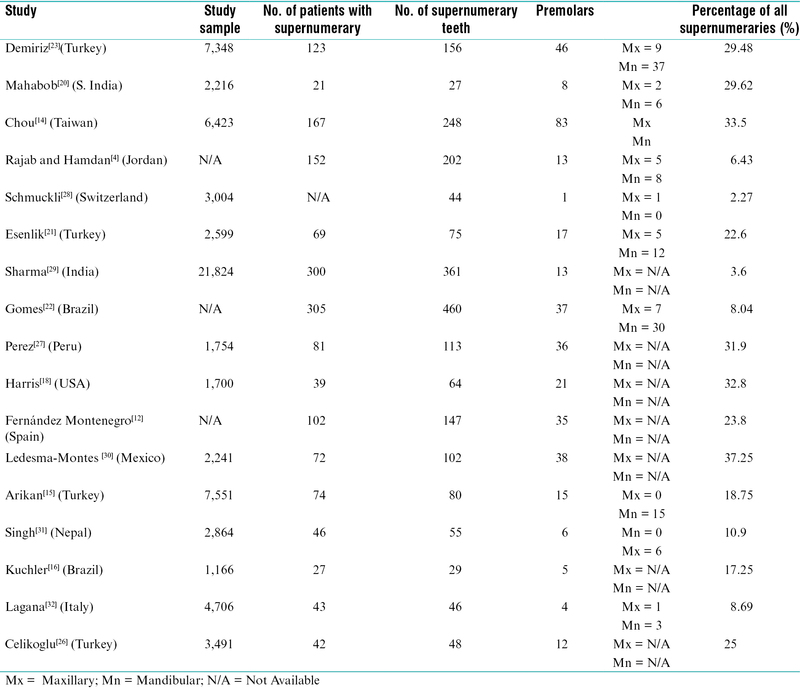 Celikoglu M, Kamak H, Oktay H. Prevalence and characteristics of supernumerary teeth in a non-syndrome Turkish population: Associated pathologies and proposed treatment. Med Oral Patol Oral Cir Bucal 2010;15:4-7. 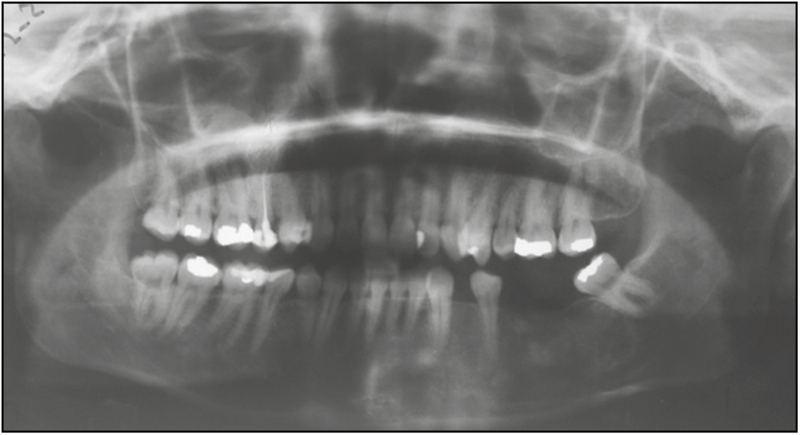 Pérez IE, Chávez AK, Ponce D. Prevalence of supernumerary teeth on panoramic radiographs in a non-adult Peruvian sample. Int J Odontostomatol 2014;8:377-83. Sharma A, Singh VP. Supernumerary teeth in Indian children: A survey of 300 cases. Int J Dent. 2012;2012. Ledesma-Montes C, Garces-Ortiz M, Salcido-Garcia J-F, Hernandez-Flores F. Study on frequency of dental developmental alterations in a Mexican school-based population. Med Oral Patol Oral Cir Bucal. 2016;21:1-5. Singh VP, Sharma A, Sharma S. Supernumerary Teeth in Nepalese Children. 2014;2014. Laganà G, Venza N, Borzabadi-Farahani A, Fabi F, Danesi C, Cozza P. Dental anomalies: Prevalence and associations between them in a large sample of non-orthodontic subjects, a cross-sectional study. BMC Oral Health. 2017;17:1-7. Fardi A, Kondylidou-Sidira A, Bachour Z, Parisis N, Tsirlis A. Incidence of impacted and supernumerary teeth - A radiographic study in a North Greek population. Med Oral Patol Oral Cir Bucal. 2011;16:e56-61.